Star Cast: Sachiin Joshi, Gihani Khan, Vimala Raman, Prashant Narayanan, Prakash Raj, Aditya Pancholi, Mahesh Manjrekar. What’s Good: The unintentional comedy. What’s Bad: The foolish story and script; the sleepwalking performance; mostly everything. Loo Break: As many as you like. Watch or Not? : Give it a miss. The hero smirks, his handlebar moustache bristles and he delivers his supposed claptrap, “Iss duniya mein mujhe ek hi cheez se darr lagta hai, ke mujhe kisi bhi cheez se darr nahi lagta.” Now watch your hopes burn. Abhijeet Patil’s (Sachiin Joshi) intro scene is like the one from Wanted, with a Janmashtami scene instead. Our dear hero is a crooked cop with a vague moral compass: he sleeps with prostitutes but will not allow dance bars to function in his “area”. Importantly, he dislikes men physically abusing women because his father was a drunk cop who always hit his mother. Though he always flouts the rules, Abhijeet usually escapes punishment courtesy the Great Indian Family with ACP Gaitonde (Mahesh Manjrekar) being his uncle. Though he has his detractors in the department, Abhijeet is adored by his team. His habit for betting has put him into debt worth lakhs with his bookie Durrani (Aditya Pancholi). When the local Bar King Shetty (Prakash Raj) wants to open a bar in Abhijeet’s area, he allows him to do so, but soon shuts it down after he catches bar dancers in there. After mixing with Shetty and getting cozy with his girl Rani (Gihani Khan), Abhijeet gets hooked to cocaine. One of his team members gets shot in a restaurant, leaving him furious. After a token investigation, he rams into a house and, finding Rani hostage there, kills everyone else in the room in revenge while making it look like an encounter. But the hounds are after Abhijeet. After an investigation (backed by Shetty) reveals that Rani was just with her clients, Abhijeet is suspended. He joins Shetty as a bouncer in his bar while a journalist Jia (Vimala Raman) plays his lover and nurse from time to time. While you’re racking your head around all this, the hero manages to win back his honour, crack a cocaine ring, end his debts and emancipates women all over the planet. Or maybe I missed the point. The movie script has been shamelessly lifted from the gritty and fantastic 1997 neo-noir film L.A. Confidential by Curtis Hanson. 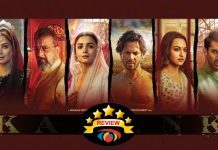 While there’s no shred of respect for the book or the movie, writer Ghalib Asad Bhopali has instead used it to make the movie bear no semblance to sanity or logic. A crooked cop is understandable –and heck, even the new ‘it’ thing – but we have a policeman snorting cocaine, losing lakhs by betting on cricket matches, and you’re supposed to root for him. You also have other policemen in his team who don’t think twice before touching bullet shells on the crime scene with their bare hands. The hero calmly wakes up at the heroine’s house after a night of substance abuse; how he got her address is our mystery to solve. Or even how he can serenade into Shetty’s fortress and steal a packet of cocaine from his moll’s bag. Or why two-bit roadside ruffians seem to be dealing coke. Or why they had a script for this film. Abhijeet’s wisecracks are accompanied by a “Dum pe lakdi” song and music, but his bland comebacks are not a lakdi on anything. The dialogues might make you laugh, but that’s definitely not what the writer intended. There’s a Dabangg wannabe, there’s a Salman Khan wannabe, and then there’s Sachiin Joshi. Sachiin doesn’t really have the charm or charisma, and when he tries to look nonchalant, he just looks cocky and arrogant. Considering the traits his character displays in the movie, he might give it a rest for some time. Gihani Khan mostly displays the twins while mouthing some uninteresting dialogues as Rani. Vimala Raman does well as the journalist-turned-nurse-turned-social activist Jia. The poor thing looks like she has to dance with a brick when Sachiin tries to shake a leg with her. Prashant Narayanan is wasted in his role as Inspector Prashant and delivers his dialogues without pausing for breath. Prakash Raj sleepwalks his way through this movie (and is probably the only salvaging factor) but his character, traits and persona as Shetty are exactly the same as his roles in Wanted and Singham. Aditya Pancholi is alright as Durrani. Mahesh Manjrekar is good as Gaitonde. Ankush Bhatt does a bad job. A garbled script, jerky characters and a disappointing lead actor don’t add up to any points for the director. Anand Raj Anand and Amjad Nadeem’s music is alright. The item songs attack you out of the blue and are not even much to look at. The cinematography is alright. The editing is sloppy. 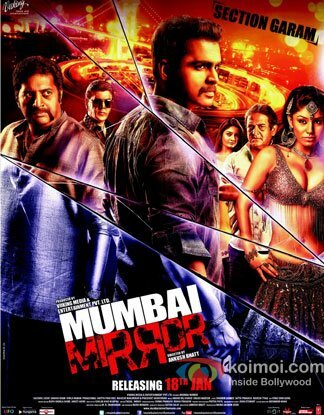 Mumbai Mirror released on 18th January, 2013. 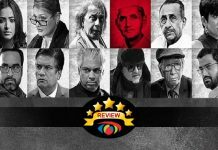 Share with us your experience of watching Mumbai Mirror. 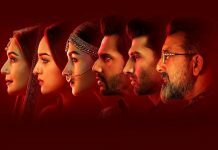 i am really impressed by koimoi….they are really brave enough to say the truth without being manipulated or influenced by the movie cast and crew….keep this good work going on…..
Star cast of the movie is a very strong, I am planning to watch this movie with my friends on the weekend. Sachin Joshi is an utter failure,disappointing performance.His expressions are worse & awkward. Relly very good movie i yet watched and if u feel it’s like dabangg 2 then it is very good then dabangg 2 go and watch movie. How terrible it is that all the comments above with Facebook logins are all fake. It definitely looks like they were paid to write their one line reviews. I mean really? this is not a movie, this is a freakin’ crude joke. And this leading actor is the lead becoz his daddy (new money) was able to afford it and beta thinks he can be a hero like Salman Khan. I mean this is torture to put it nicely. I don’t read any movie sites but Koimoi is excellent so glad you guys do honest reviews.